This incredible 4th floor CORNER unit has gorgeous balcony views! High Tray ceilings and beautiful stonefront gas fireplace give a spacious feel to the living areas. Owner wired living area for surround sound. Walkthrough kitchen features modern appliances and is accessible from both sides of the condo. Master has walkout onto Covered Balcony and it's adjoining bathroom features separate large corner tub and shower with Huge walk in closet. Large guest room & laundry area with W&D. Amenities include Pool, Spa, Large Exercise Room, Club House, Elevators, Storage Area and more. New Digital Key FOB entry keys being installed. 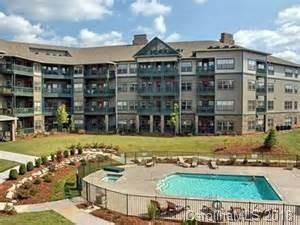 This complex is RENTAL FRIENDLY for long term leases, and Pets are OK (See R&R's for details). The Beaucatcher House has several events yearly for the residents and boasts a great community atmosphere with ONSITE management if ever needed. Home occupied by tenants on month to month lease. Short Sale Addendum required with offer - Park in Guest Parking ONLY please. Offered by Alpha Real Estate Inc.. Copyright 2019 Carolina Multiple Listing Services. All rights reserved.